Looking back on the Flappy Bird phenomenon, and the onslaught of games developer Dong Nguyen inspired with his brutally difficult single-tap gameplay, it’s clear what made it so hard to put down. 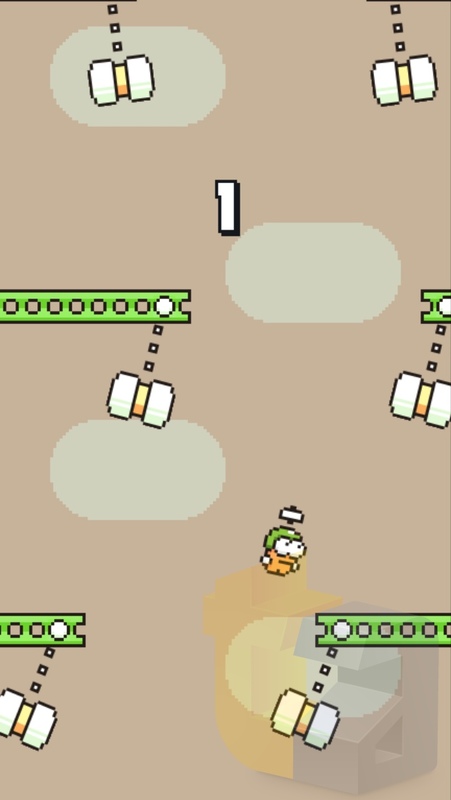 The first time you loaded up Flappy Bird, chances are you didn’t even make it through the first set of pipes. It might not have even been until your 10th try that you managed to make it through, but man what a feeling that was. 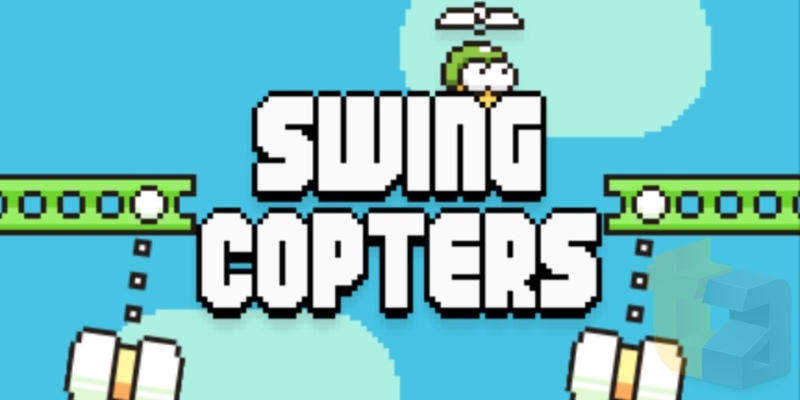 Swing Copters captures all the “just one more try" of Flappy Bird, and seems even more brutally difficult. 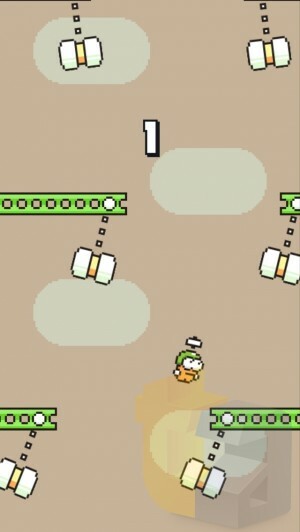 In the game, you play as a little dude who has a propeller on his head. 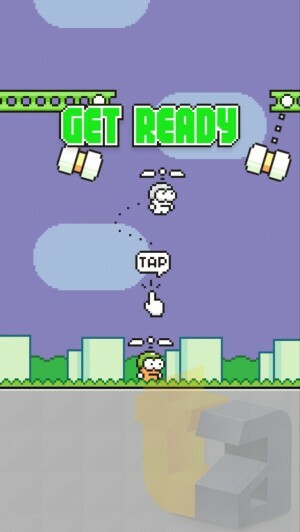 Swing Copters coaxes you to tap the screen, at which point you’re airborne, wildly flying to one side. Tapping changes your flight direction, and the goal is similar: Fly through as many gates and get as high as you can. Sort of similar to Flappy Bird, but going up instead of to the side. That five point run that I busted out at the start? That’s the best I’ve done so far, and that two minutes worth of video is basically my magnum opus as of this writing. Swing Copters is hard. Just getting through the gates themselves would be tricky enough, but adding in the swinging hammer things below them is just ridiculous, particularly as you’re desperately trying to control your guy as he wildly swings from one direction to the other. …But, like Flappy Bird, I love it. It feels like it’s got all the same qualities that made Flappy Bird so sticky for me. Once you see even the smallest bit of success in the game, you can’t help but play again, and again, and again, always trying to (in my case, anyway) top that amazing five point flight. Swing Copters is scheduled for release this week on the 21st, it’ll be a free download, with a single $0.99 in app purchase to remove the ads. This is totally optional though, as just like Flappy Bird, the ads couldn’t be more unobtrusive. Basically think of this as tipping Dong Nguyen a dollar if you love what he does.